Much like the march of the lemmings, people seem to flock to the newest thing in town. Take the Ramen Butcher for instance, located in the former East of Main. Grace and I were planning to visit the place during their soft-opening, but with a lineup that was an hour long, we thought otherwise. Sure, it's new and yes they were serving $5.00 bowls of ramen, yet, there wasn't anything that would make us wait in the rain for 1+ hours. 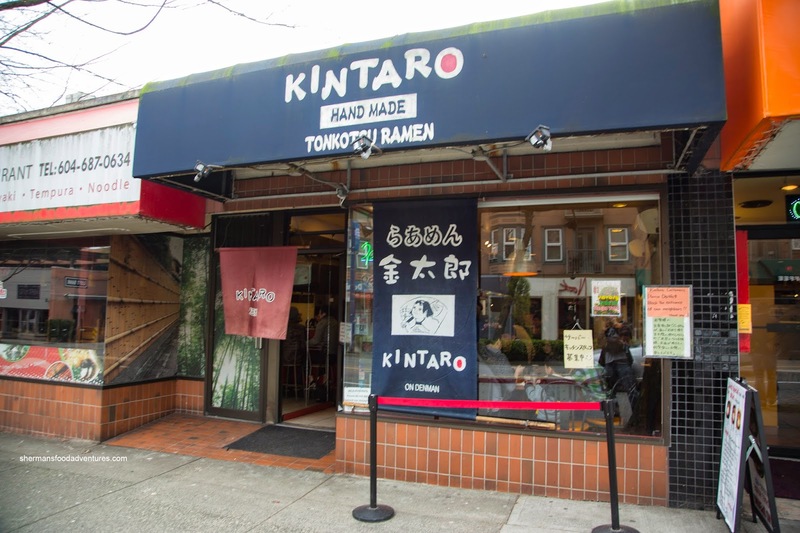 Hence, we hightailed it to something old, in one of the original ramen joints in town - Kintaro. After a brief wait (which was not even remotely close to 1 hour), we were seated at the bar. We shared an order of Pork to start and it was predictably fatty and slightly salty. Pretty decent, but on a personal note, congealed fat is not really my cup of tea. I much prefer it melted. 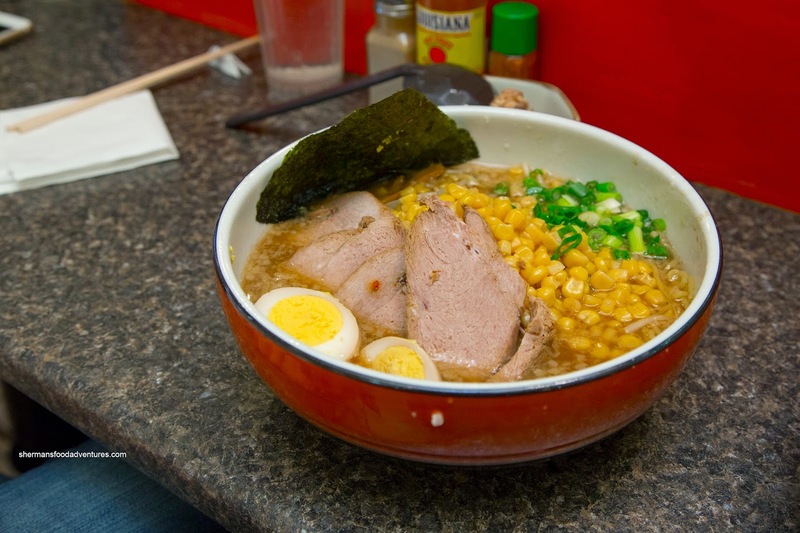 For my bowl of ramen, I chose the Spicy Miso Garlic with egg, chashu and sprouts (I added corn as well). If you can imagine, that big scoop of diced garlic had an enormous effect on the soup. The medium fatty broth was salty and spicy to begin with, but with the addition of the garlic, it was super flavourful and of course, aromatic. I've said it before and I'll say it again, the broth at Kintaro is less refined than some of the newer joints, but it is still good in its own right. As for the pork, it melted into the soup where it was fatty and completely soft. Wasn't a big fan of the egg though. Grace decided to go with something more basic in the Shoyu Ramen with medium broth and lean pork. Although consisting of barely any fat, the lean pork was still sufficiently moist and tender. Again, the rich and fatty broth didn't lack impact, but it was on the sweeter side. It had a very minor silkiness from the fat and pork gelatin, but that is the style here. We cannot directly compare this to the Ramen Butcher or Santouka as they are not the same. Seeing how 2 bowls of ramen didn't even put a dent into the menu, I returned a few weeks later with Vandelay (yes, he does exist) for some more ramen action. 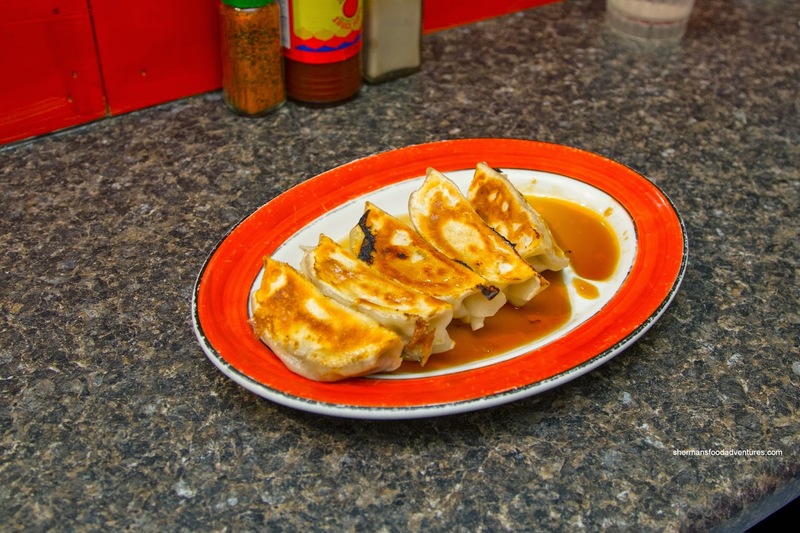 We began with an order of the Gyoza doused in a good amount of sauce (which I like). These were solid with a think skin and crispy bottom. Inside, there was actually a decent amount of juice in addition to the moist pork and cabbage. Now for what we were here for, Vandelay had the Miso Ramen with medium broth and fatty pork. Unlike the one found at Taishoken, the miso was much more in the background with only a mild saltiness and slight spice. 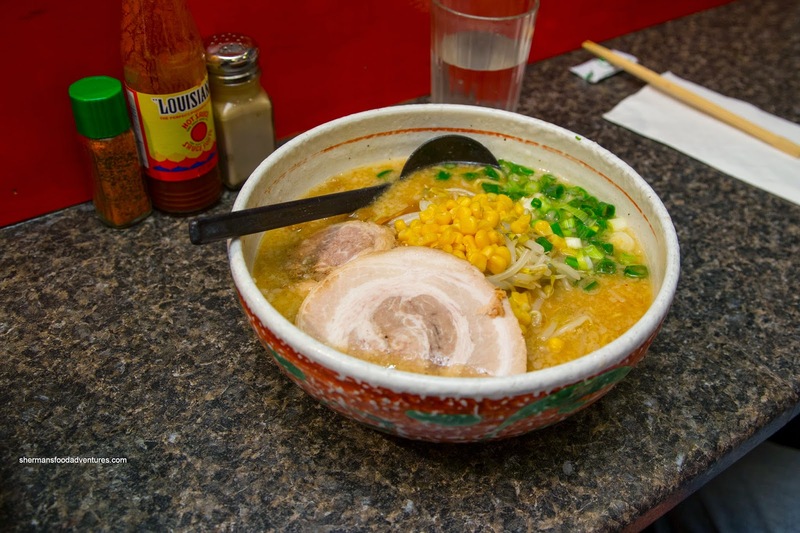 Although it was supposed to medium, there was a significant amount of fat floaties which made the broth rich (but not in a silky manner such as Ramen Butcher). 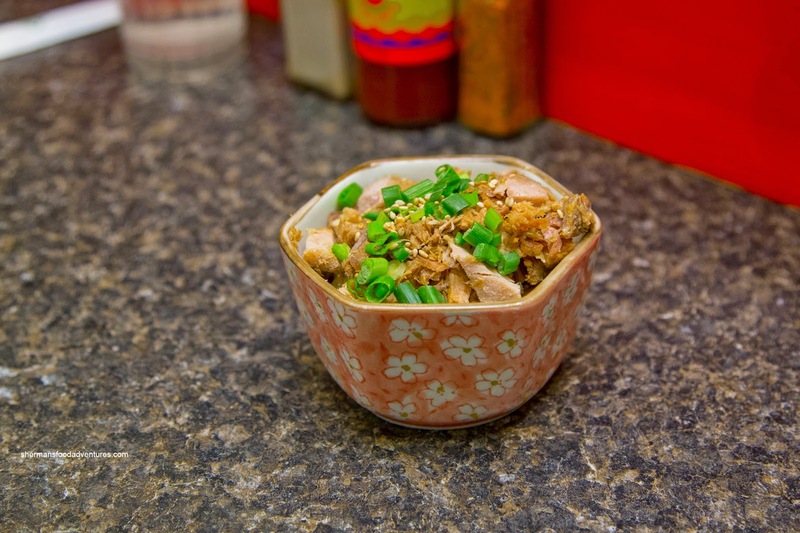 As with previous bowls, the noodles were toothsome while the fatty pork melted into the broth. 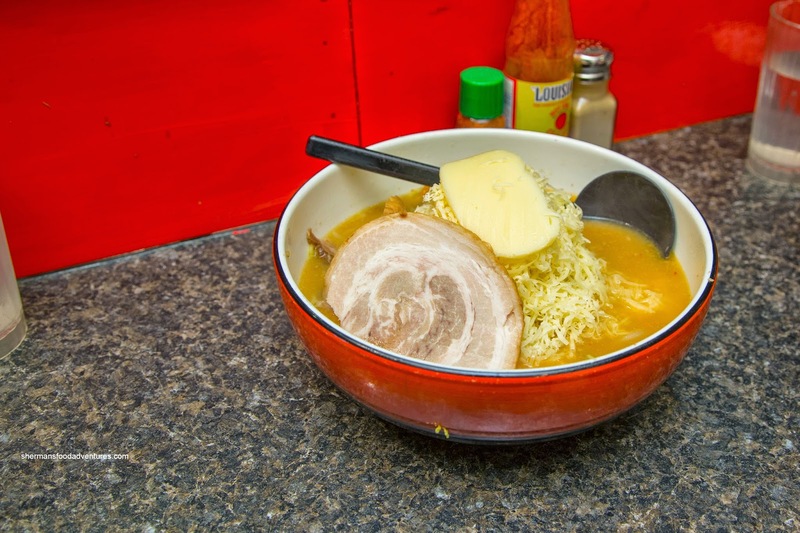 For myself, I went for the Cheese Ramen (which I had the first time I visited Kintaro) with medium broth and fatty pork. It maybe polarizing, but you can't accuse them of being skimpy with the cheese, as the big pile melted into noticeable gobs in the miso broth. With grated Swiss and 2 slices of mozzarella, there was a complimentary pungency which nicely accented the saltiness of the broth. 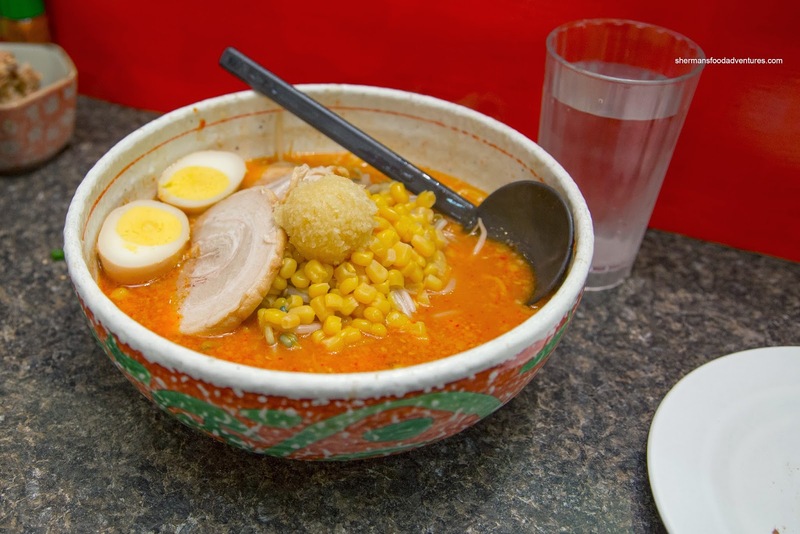 Overall, these 2 re-visits to Kintaro has confirmed that they still serve up good ramen. To compare directly with some of the newer spots would be difficult as they are all very different. I would say they are good in their own special way (and of course there is a lot of subjectivity as well).